You can follow him on Facebook, Twitter and Google+. If you would like to connect professionally, check out his Linkedin profile where you can find his experiences, presentations and certifications. Michelangelo discovered PHP in 2001 and has grown into professional PHP consultant over the years. 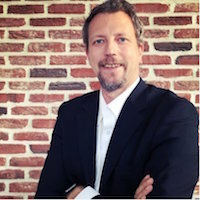 He co-founded in2it, a small consulting and training company in Mechelen Belgium and was immediately appointed CEO. Michelangelo co-founded PHPBelgium in 2007, a small PHP user group in Belgium. In 2008 PHPBelgium joined forces with phpGG in the Netherlands and rebranded both user groups as a single entity PHPBenelux which grew into one of the respected PHP communities in the world. Besides monthly meet ups, PHPBenelux organises events like PHPTestFest, bug hunt days, a yearly BBQ and an annual international PHP conference in Antwerp. Because of his work and his involvement in the PHP community, Michelangelo has given talks and workshops at several PHP user groups in various countries and technology conferences around the world. You can find many of his presentation slides on SlideShare. Michelangelo van Dam works at in2it as a professional PHP consultant assisting businesses to automate their development processes, improve their code quality and train their development teams. Michelangelo is also president of the PHP user group PHPBenelux where he and a team organizes monthly meetups, development events and an annual conference. He's a devoted member of the global PHP community and contributes to open-source projects, mainly PHP related. High resolution picture: Michelangelo van Dam | Flickr - Photo Sharing! I am looking for a PHP code example to start/stop a VM on Azure. I have looked at the Azure-SDK-for-PHP, but do not see an example. As per your blog post - "If you need code samples, ping me. I’d love to share my knowledge." In most cases I use the "az" (Azure SDK for CLI) to manage my infrastructure on Azure (see https://docs.microsoft.com/en-us/azure/virtual-machines/linux/cli-manage), but if you want to integrate the functionality within a PHP application you can use the Azure-SDK-for-PHP library ServiceManager that controls your Azure services. I don't have a practical example for you, but it should not be too complicated to figure out the correct parameters. If in doubt, have a look at REST API documentation for the VM commands at https://docs.microsoft.com/en-us/rest/api/compute/virtualmachines/start. If you have figured it out, please share your findings on your blog and let me know the link. I love to refer back to it.